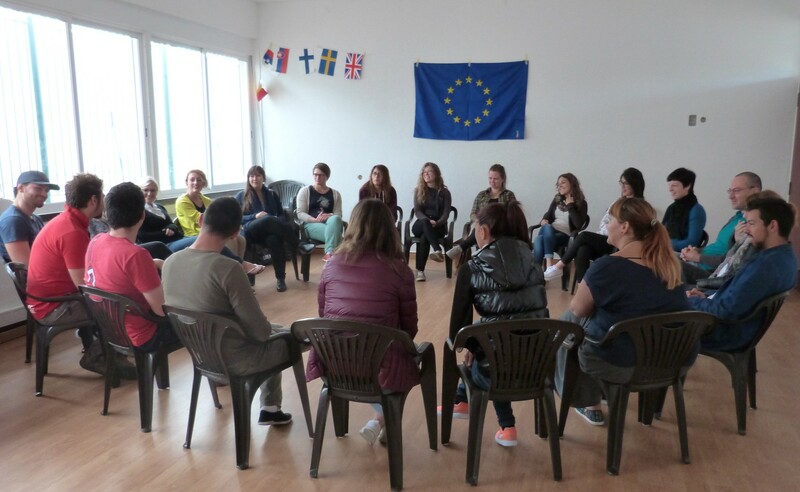 A meeting place for promotion of social inclusion, intercultural activities and educational mobility. 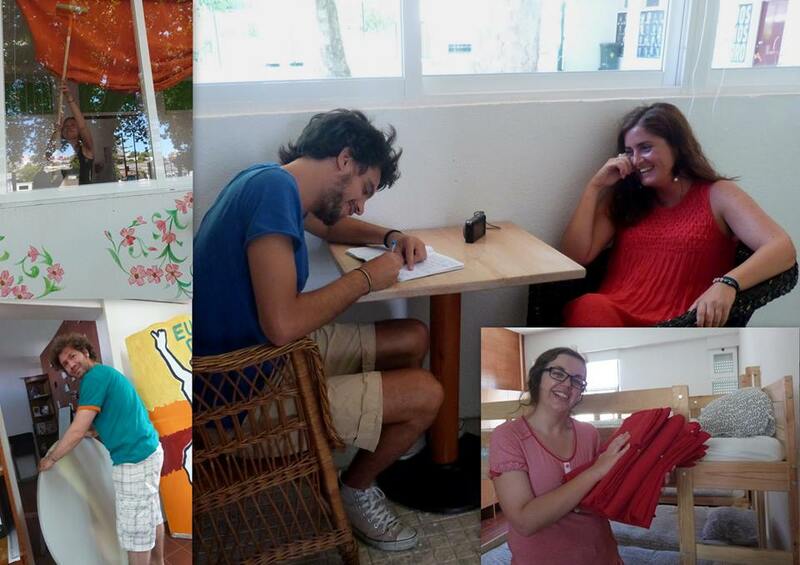 An opportunity for exchange of knowledge, values and professional competences. 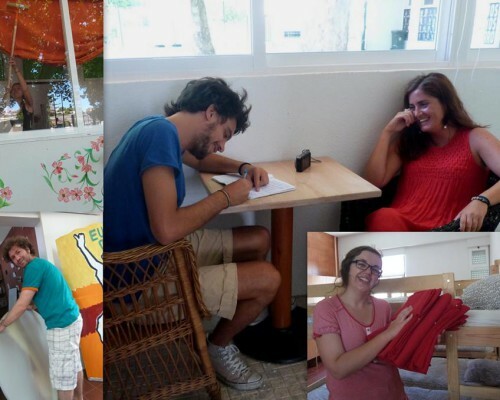 A lab for empowerment, social commitment and active citizenship. 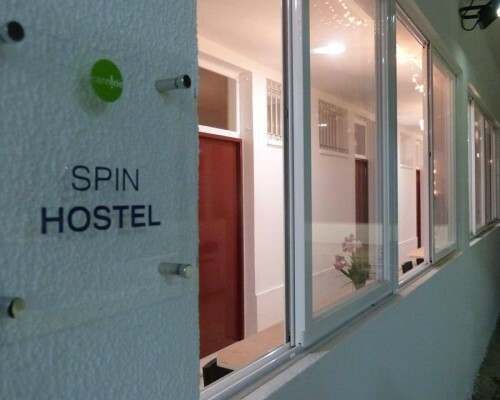 Spin Hostel is open to accommodate groups and supporting their activities and projects such as, for example: residential training courses, youth exchanges, summer camps, artistic workshops, meetings and spiritual retreats, workcamps, cultural, sports and social projects, responsible tourism initiatives and all sorts of activities promoting socialization. 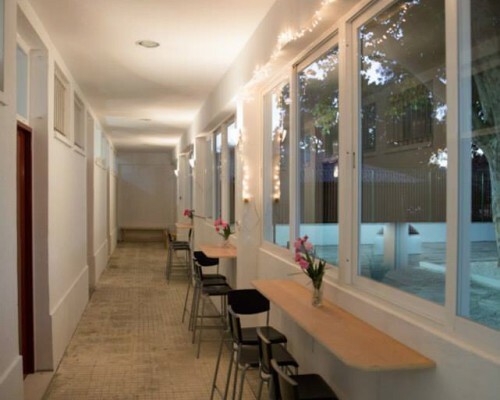 Spin Hostel is an open, flexible and adjustable space for the special needs of each group hosted. Its innovative characteristic it’s the combination of the work towards local development with a national and international dimension, in a mutual beneficial perspective, by stimulating responsibility and active participation of all in the public and civic life. 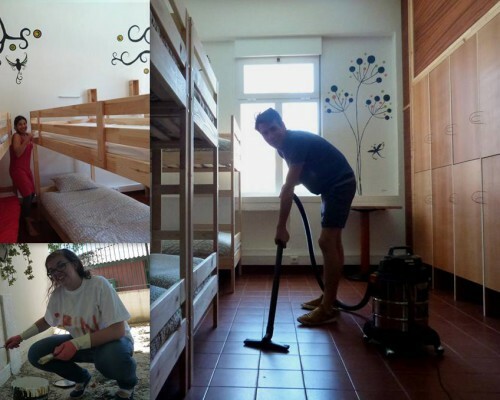 Spin Hostel hosts groups of people from all corners of the world, without age limits, offering accommodation, meals, rooms for training and socialization, logistic support and other personalized services, and all at low prices. 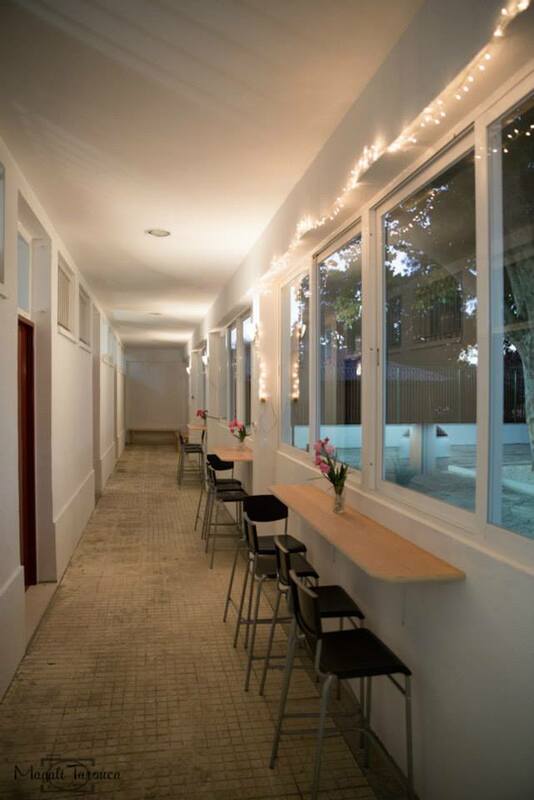 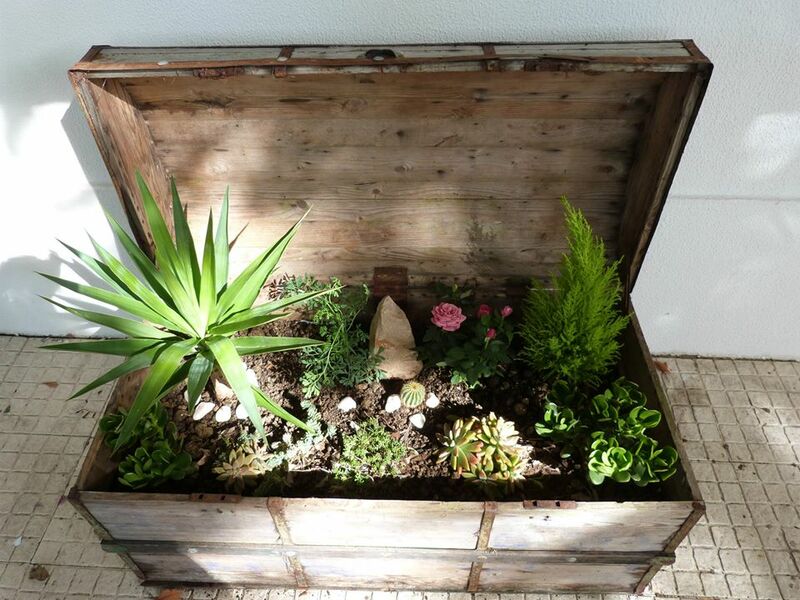 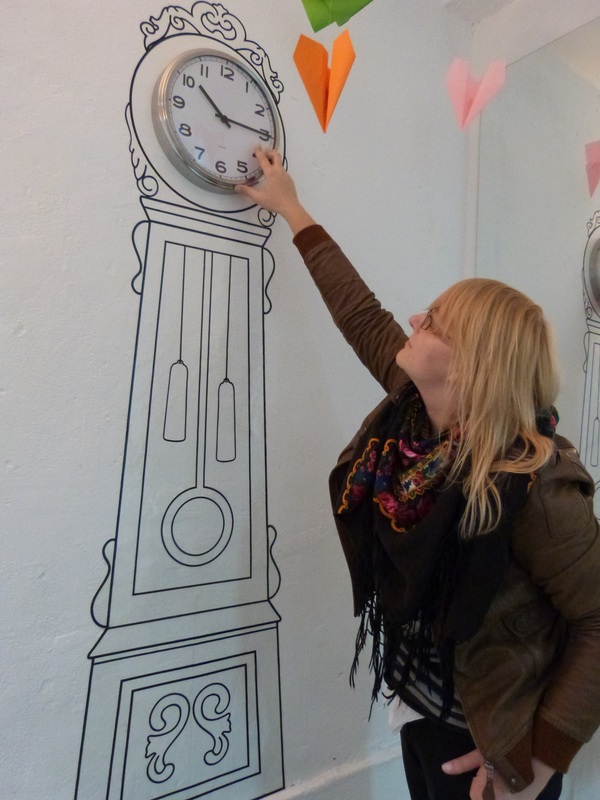 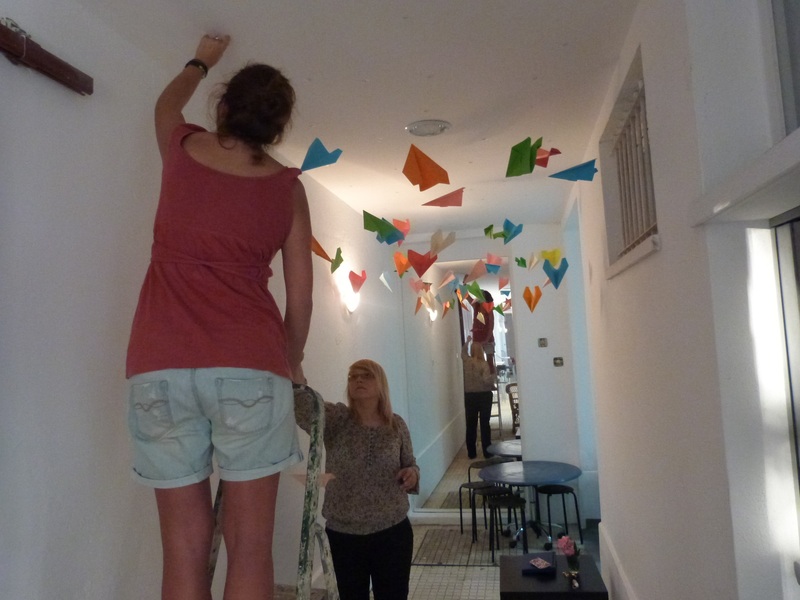 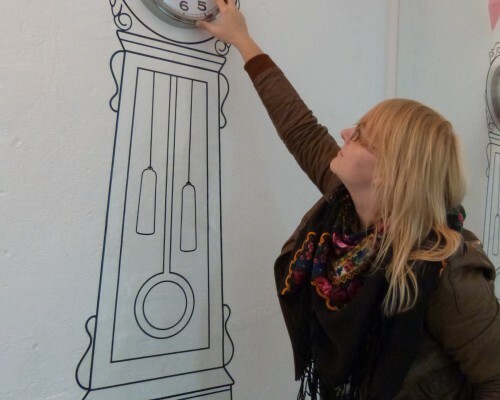 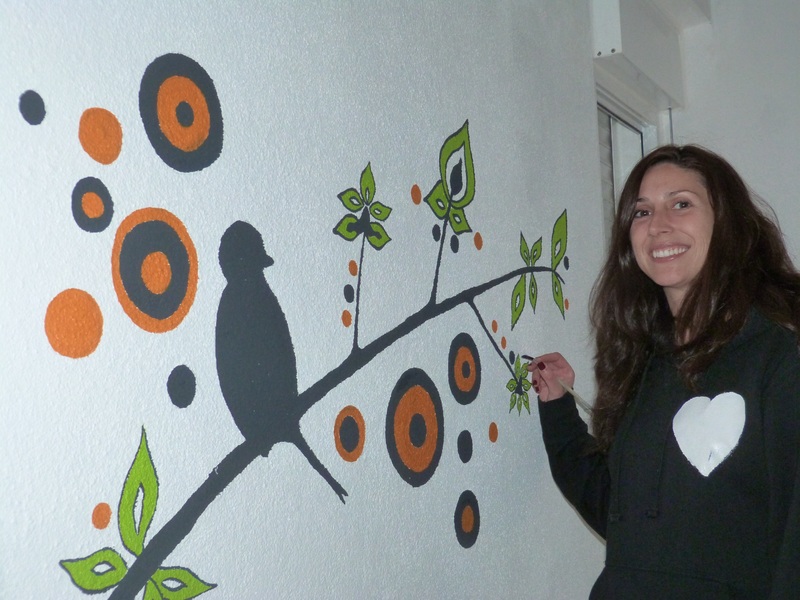 Spin Hostel is located inside the “Community Space of Old Rio Tejo School” in Padre Cruz ‘neighborhood in Lisbon. It counts on the support from Parish Civic council “Junta de Freguesia de Carnide” and it is a project managed by Associação Spin. 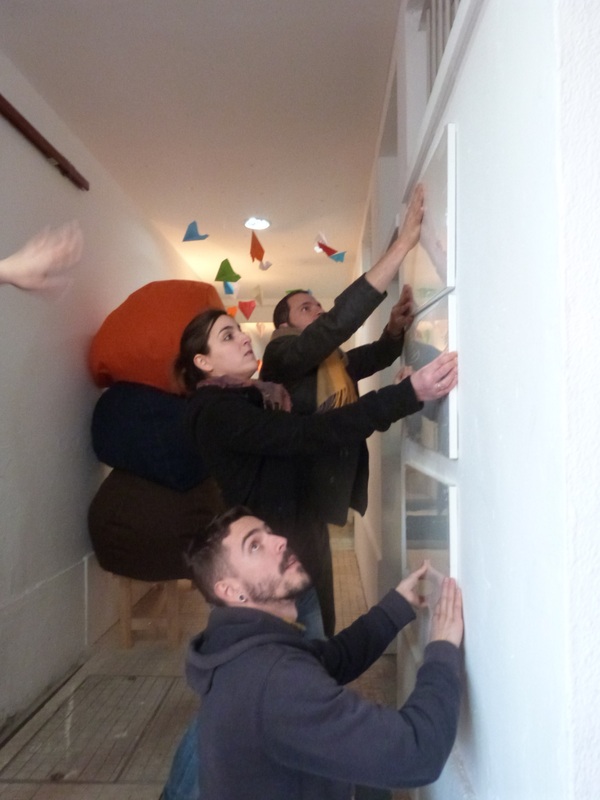 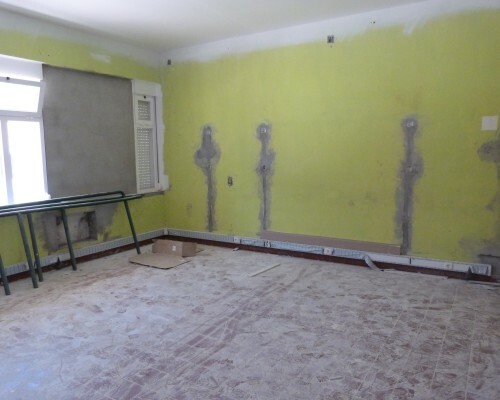 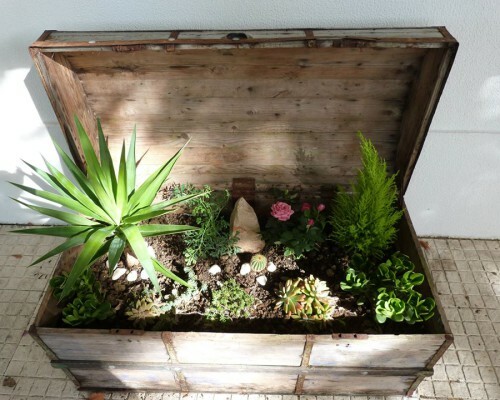 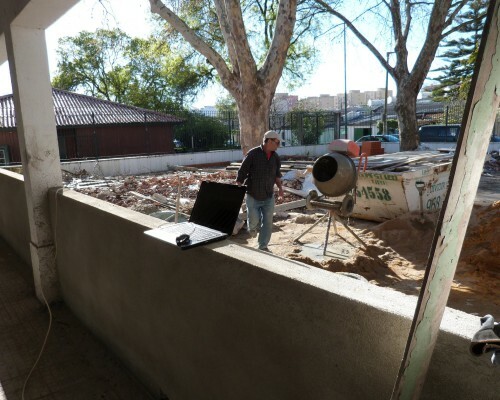 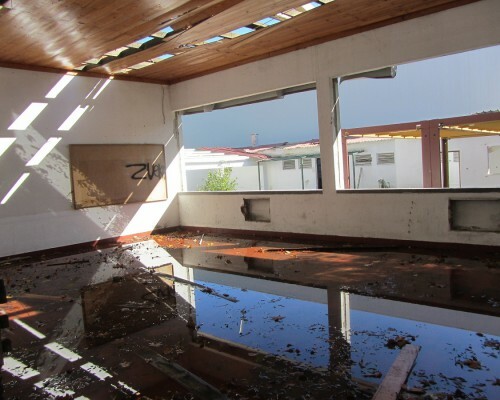 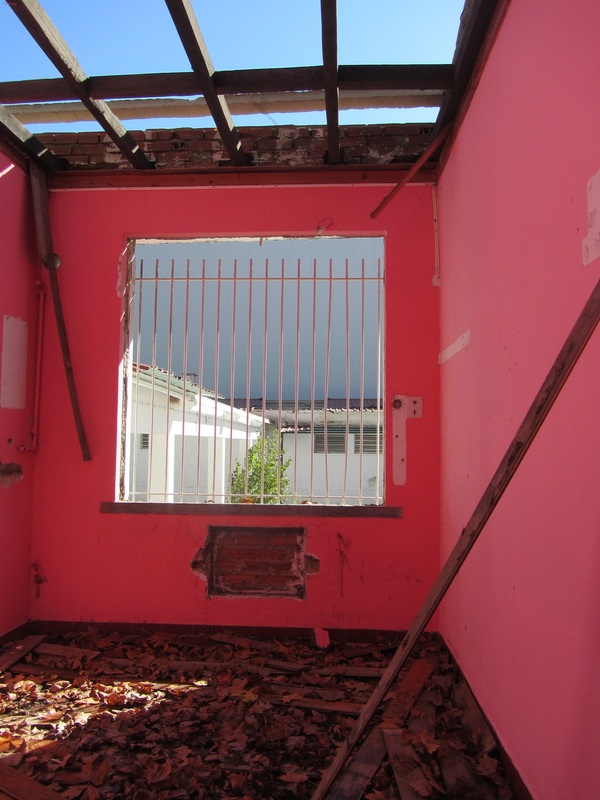 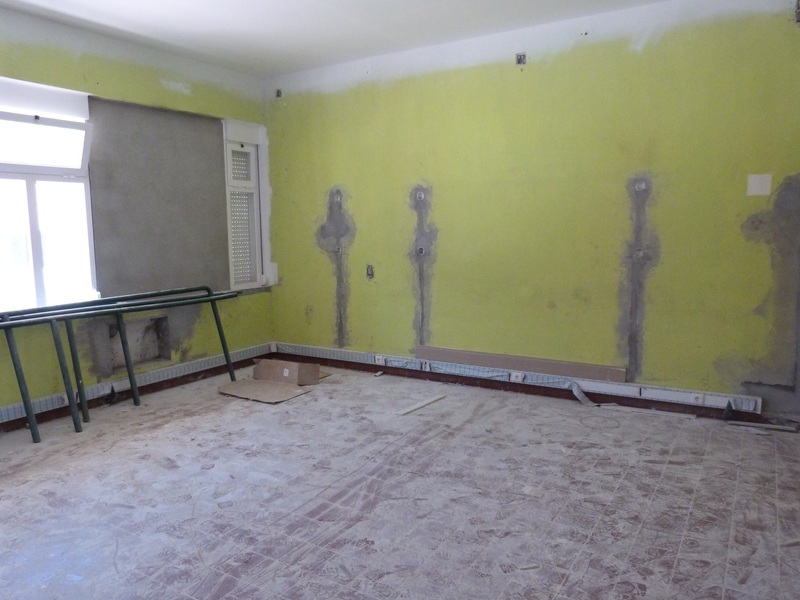 In 2012, Associação Spin was invited by Junta de Freguesia de Carnide to rehabilitate the space of an old ruined primary school, Rio Tejo’s school in Padre Cruz’ neighborhood. 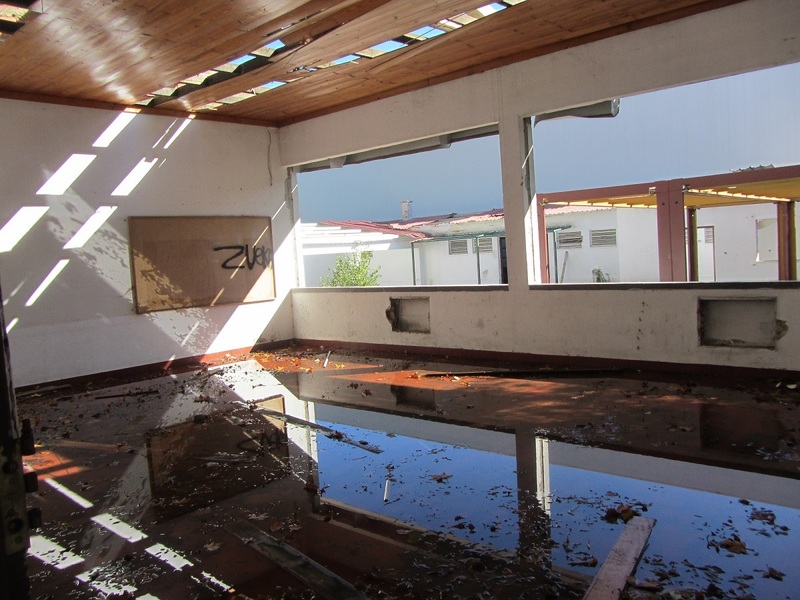 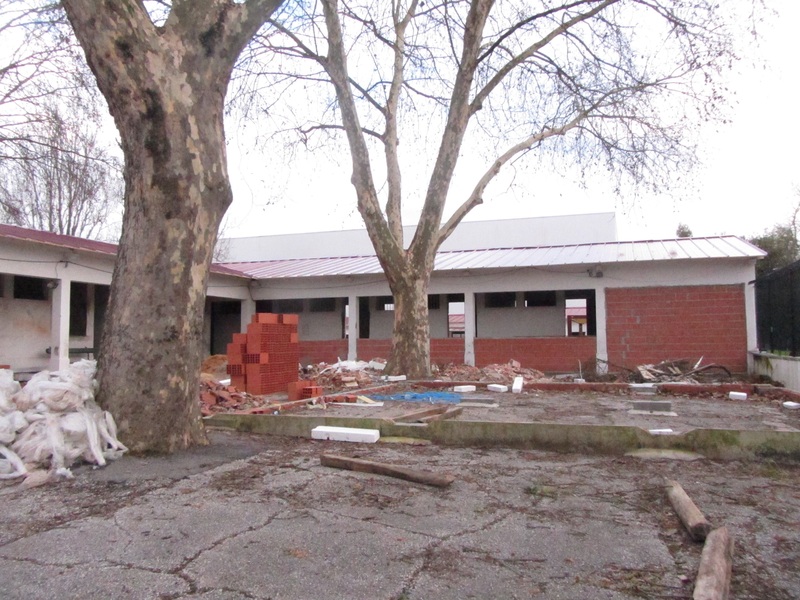 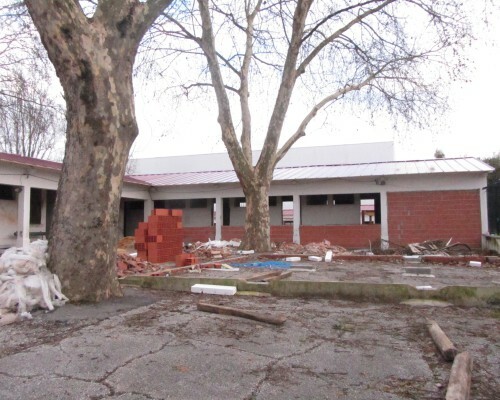 The idea was to “recover the school and then return it to the local community as a new community space for socialization and meeting”. 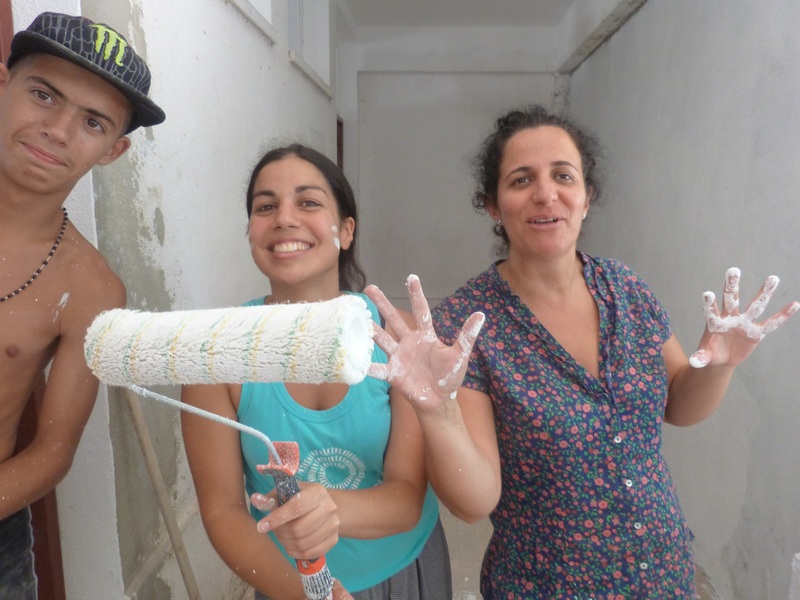 In a perspective of Padre Cruz’s development and its internationalization, Associação Spin suggested to transfer its headquarters, bringing to the neighborhood the experience in the areas of youth mobility, intercultural activities, non formal education and social-community intervention. 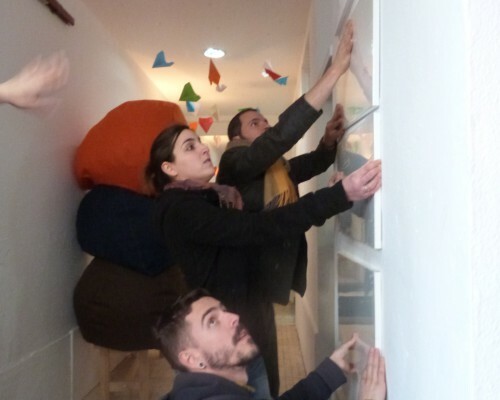 Spin also imagined to create a new space where it would be possible to develop, with full autonomy, residential training projects, in direct contact and relationship with the local community. 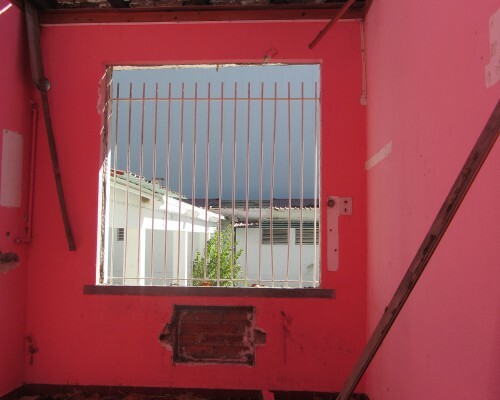 The unique context of Padre Cruz’ neighborhood and the management by Associação Spin would ensure a rich intercultural and social experience for both groups and community and at the same time stimulate local economy. 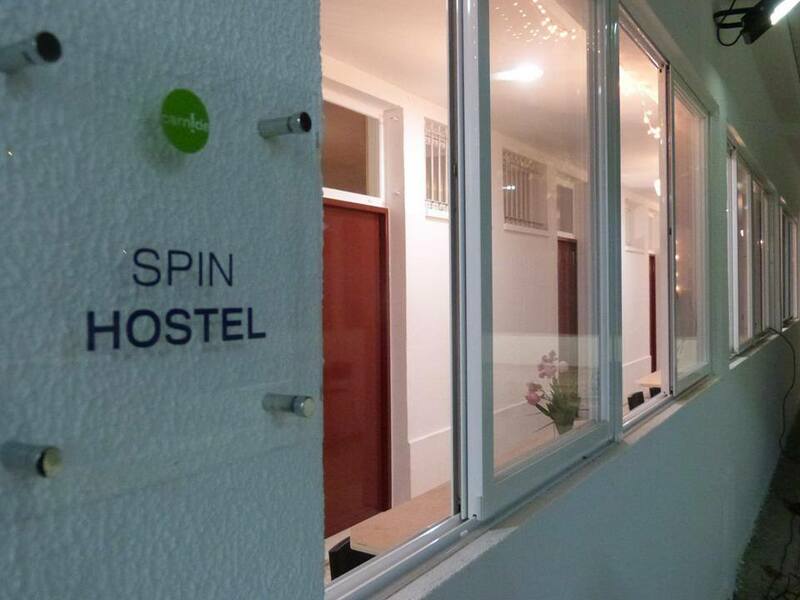 With those ideals, Spin Hostel was born! 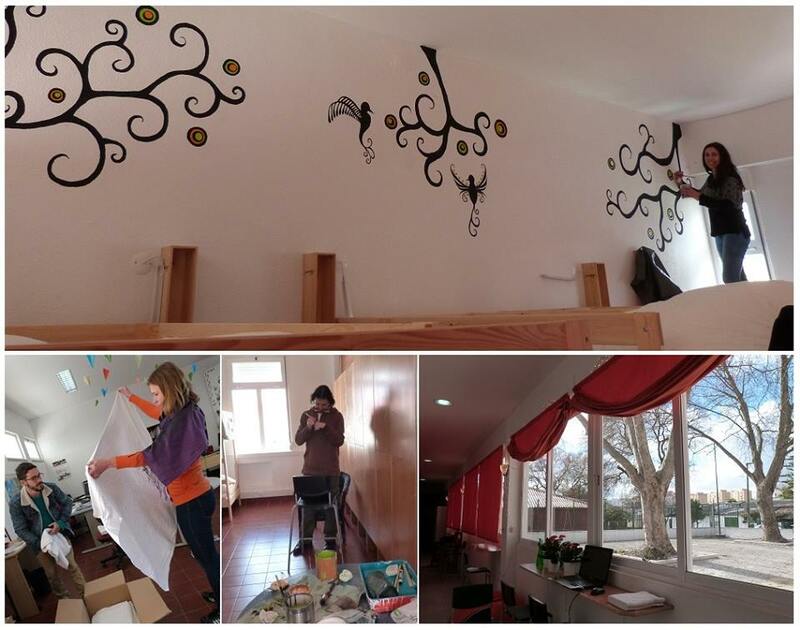 The work started: with few resources but lots of creativity, we have planned and designed new accommodating spaces in the ancient classrooms. 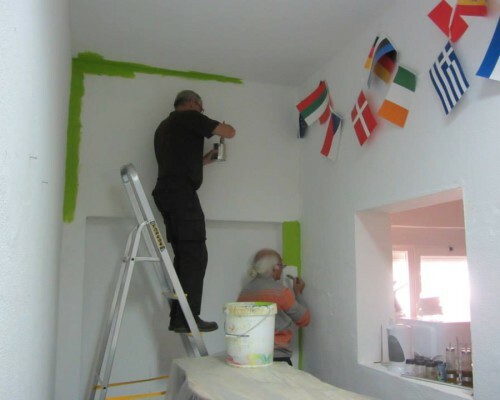 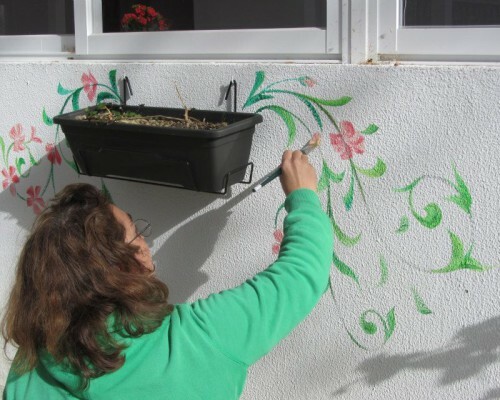 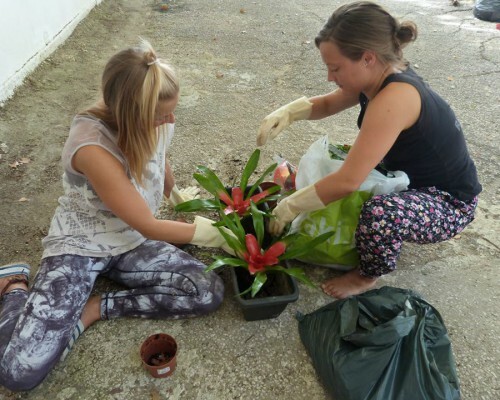 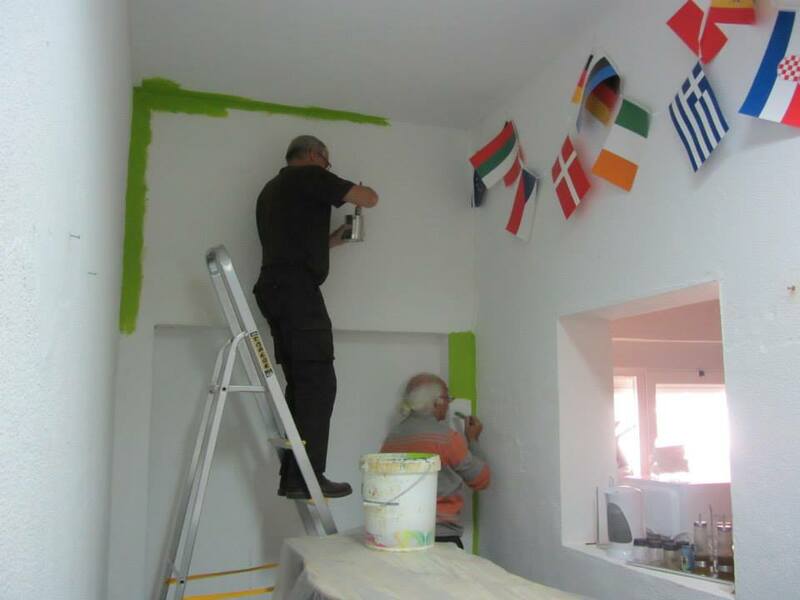 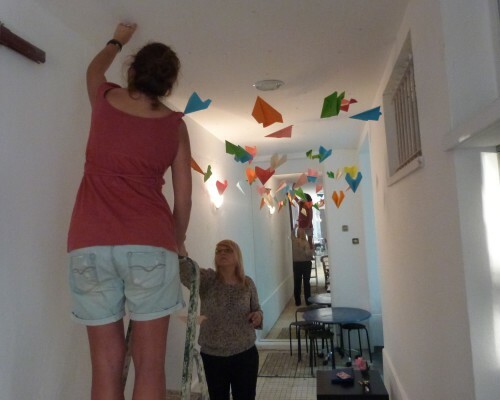 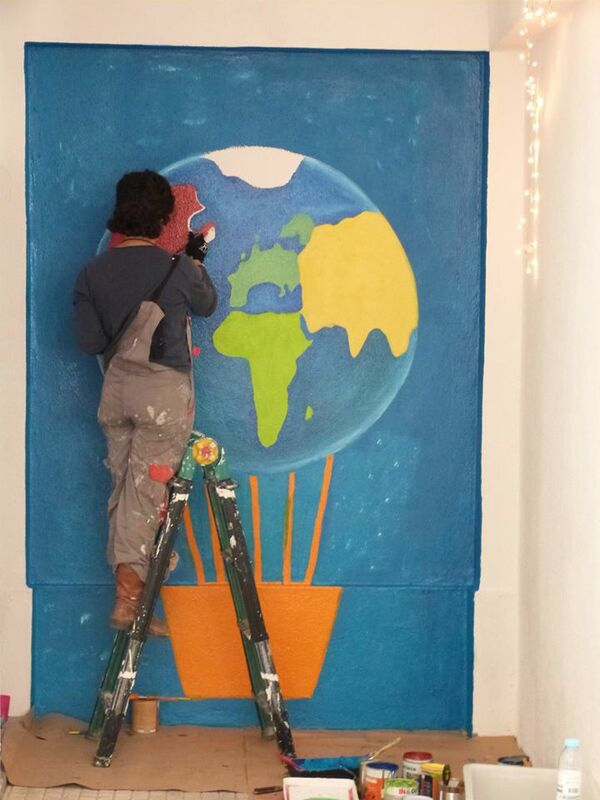 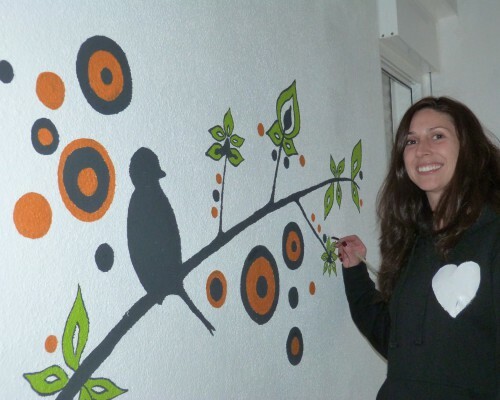 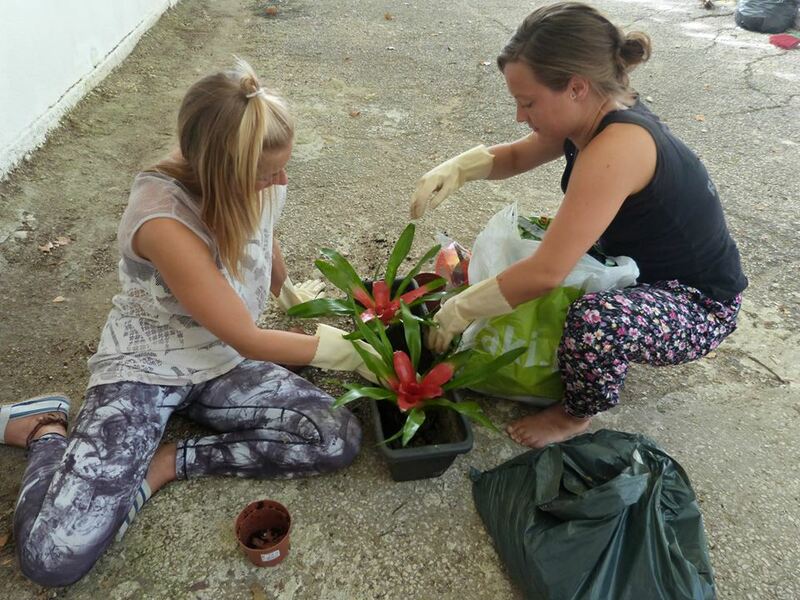 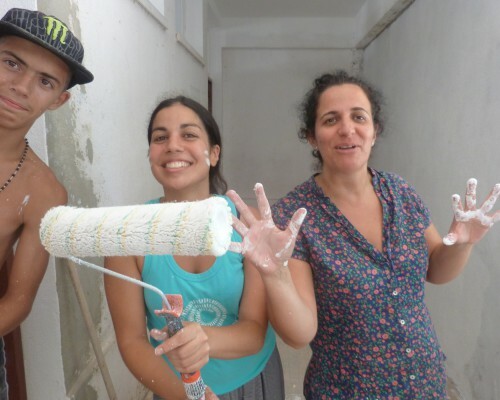 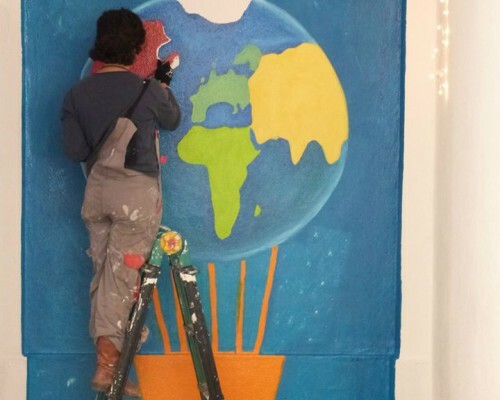 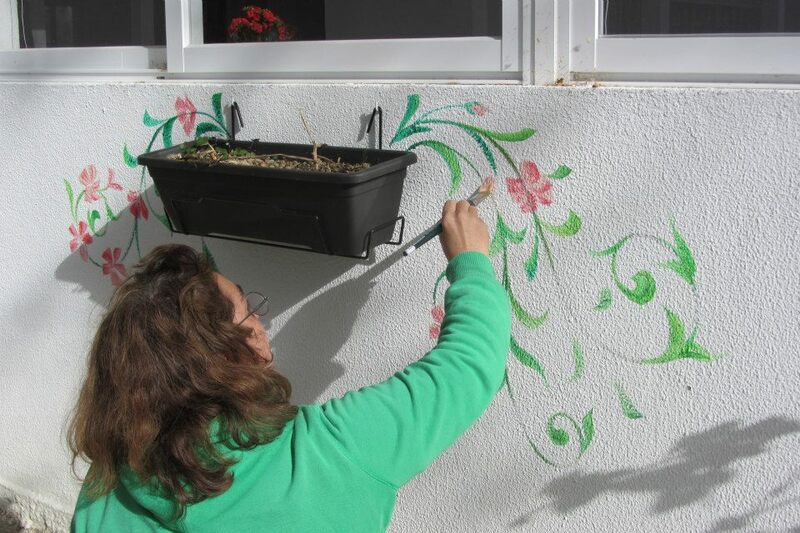 We counted with the support and volunteer work of Spin members, local partners and international participants for painting, cleaning and decorations. 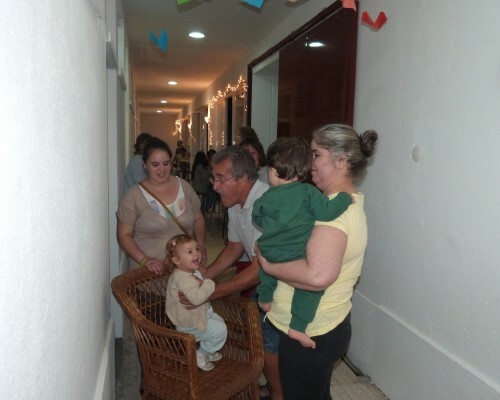 After more than one year spent in works in the School, finally in September 2013 it was officially inaugurated the new “Espaço Comunitário Antiga Escola Rio Tejo” (“Community Space Former Rio Tejo School”). 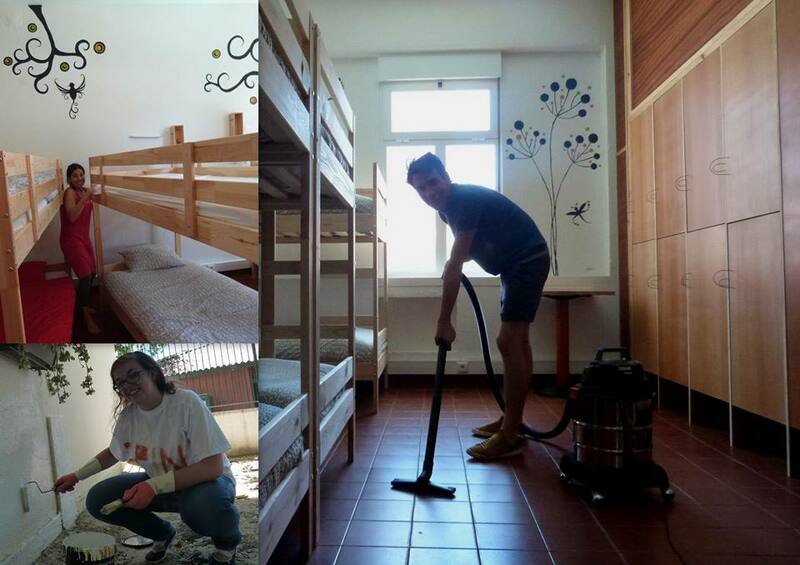 In this Community Space we have today our Spin Hostel, a nursery and a gym. 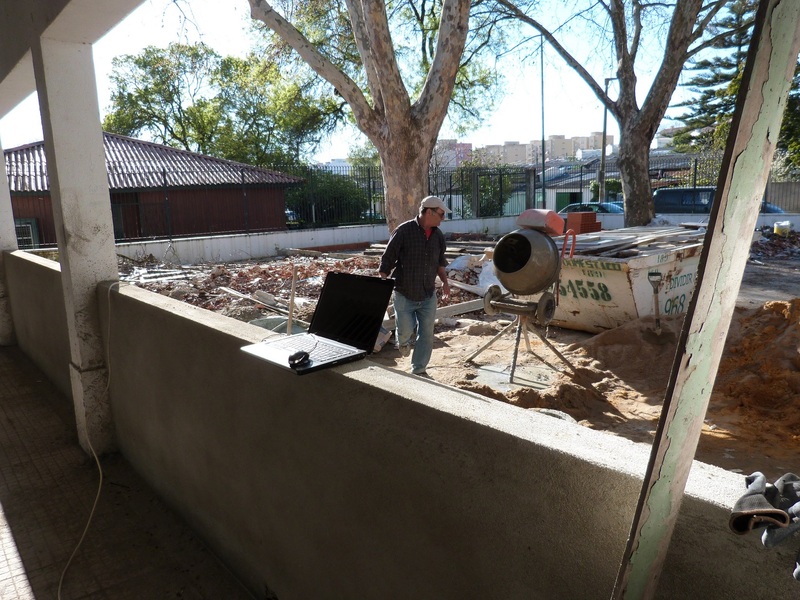 It counts also with multipurpose rooms (for trainings, cultural, social activities, etc), a museum of the Padre Cruz’ neighborhood and it’s the space for several Association’s headquarters (Associação Spin, Ginga Brasil and Orquestra Filarmónica de Lisboa).